The Domenici Archives are a place where real stories are told, a place where legacies live. The archives contain pieces of real history and are home to impactful public policy shaped by New Mexico's longest serving US Senator, Pete V. Domenici. Thousands of boxes of unprocessed documents, pictures and artifacts are waiting to be shared with students, researchers and our community. Who is Pete V. Domenici? In 1972, Domenici successfully ran for a position in the U.S. Senate and became the first New Mexico Republican to be elected to the position in 38 years. 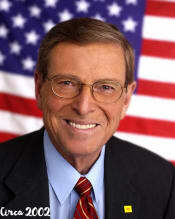 Domenici was re-elected in 1978, 1984, 1990, 1996, and 2002 and is the longest-serving senator in his state's history. At the time of his retirement, he was the ranking member of the U.S. Senate Committee on Energy and Natural Resources and the U.S. Senate Appropriations Subcommittee on Energy and Water Development. He was also a member of the U.S. Senate Committees on Appropriations and Indian Affairs, and served as Chairman and Ranking Minority Member of the Budget Committee. Pete Domenici was our Senator from 1973 to 2009 which means for 36 years he worked diligently across party lines to make a positive impact in our communities in New Mexico. Those 36 years translate to 13,140 days which is why we have decided to make our goal $13,140. We want to raise $1 for every day he was in office and by doing so we will be able to process nearly 200 archives boxes. 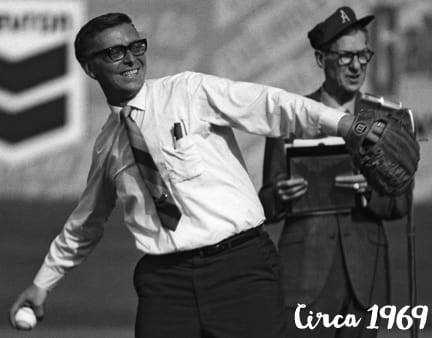 Please help us share Senator Domenici's public policy archives with students, researchers and the members of your community by making your donation. Why should you donate today? Your contribution helps us share Senator Domenici's legacy while sharing New Mexico's history with students, public policymakers and our community. Every donation goes 100% toward the processing of these culturally significant documents that will enrich the quality of students at New Mexico State University. If you are a former Domenici Staffer, we are asking that you join us in partnering to share our Senator's legacy with generations to come. It costs $72 to process one box in the archives, and we know that together we can accomplish this task. However, we need all of the members of our community, alumni and friends of the university to come together and support the cause of making these public policy archives available to our students.